Royal Enfield was, primarily, a motorcycle manufacturer that was born out of a company that made bicycles. The company lasted until about 1970, though new bikes from the marque can still be acquired as the Indian arm of the company has remained active since 1949. What we have here is a “Forecar” – meaning that the vehicle’s passenger doubles as the front bumper and crumple zone. 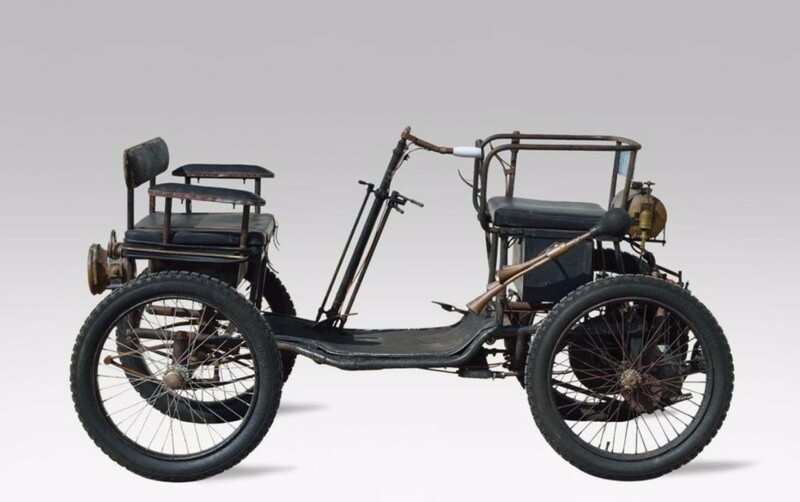 The quadricycle portion essentially means that they strapped two motorcycles together (sort of). 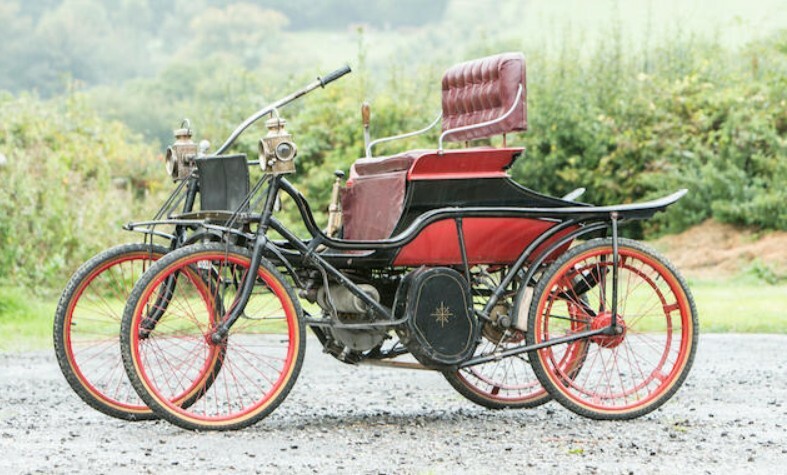 Enfield’s first true vehicles were in fact quadricycles and tricycles. 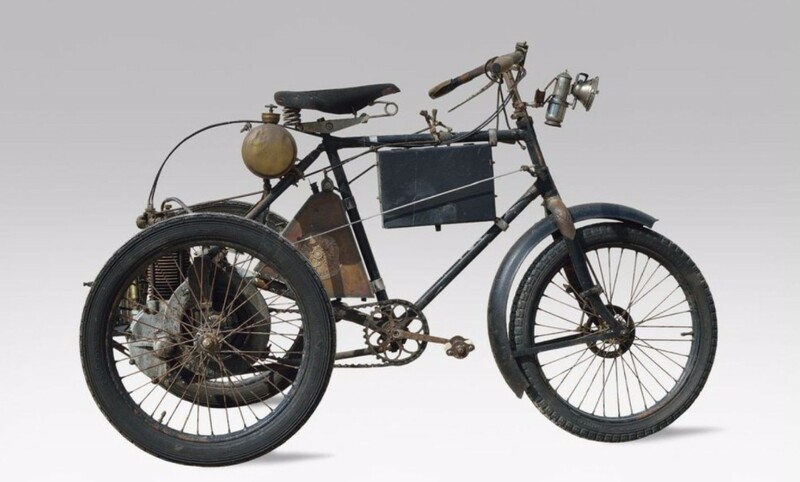 Motorcycles didn’t technically enter the picture until 1900, so this design actually predates Royal Enfield motorcycles. 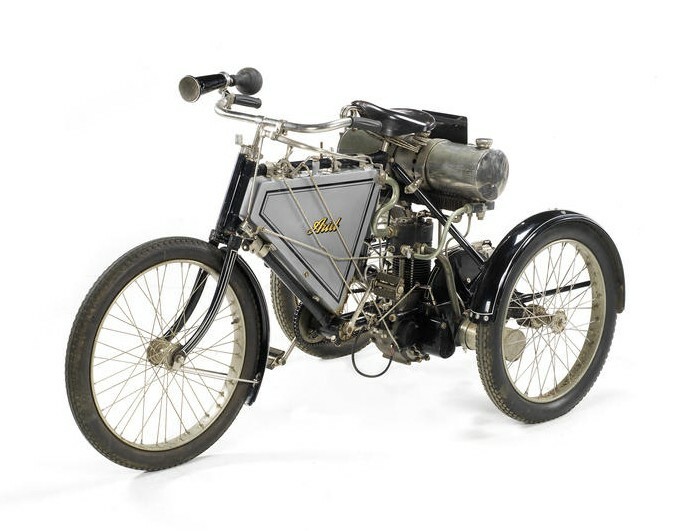 This one is powered by a single-cylinder De Dion-Bouton engine. Having resided in an Italian museum for many decades, the current owner bought this in 2007. The restoration dates to the 1950s so it definitely needs a little attention before use. It should bring between $33,000-$40,000. Click here for more info and here for more from this sale. 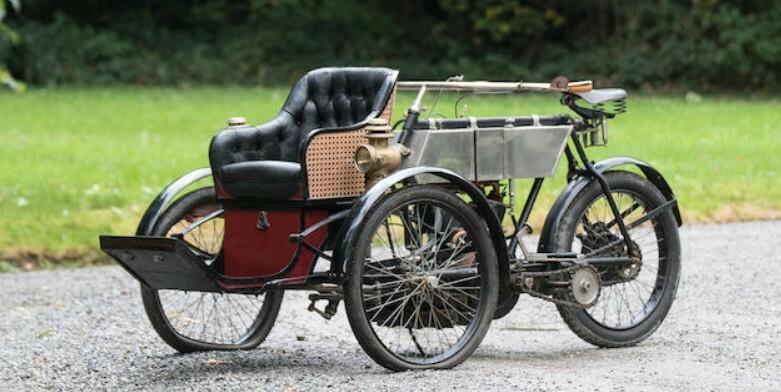 Every year at this sale it seems like Bonhams manages to consign at least one car from a marque that has such an obscure history that no one really knows anything about it. Enter La Libellule, or The Dragonfly. These early three-wheeled forecars were available from a number of manufacturers. It was essentially a motorcycle with two wheels at the front that support a wicker basket that you could plop an easily-influenced friend (or enemy) into. It’s like having a sidecar, but in front of you. Not much is known about this company other than no records of it really exist prior to 1906, which is why this is listed as a “circa 1904” in the catalog. It’s had three owners since 1921 and has been in the same collection since about 1960. The restoration dates to the 1980s, when it first competed in the London-to-Brighton run. It should bring between $27,000-$33,000 today. Click here for more info and here for more from this amazing sale. M.H. 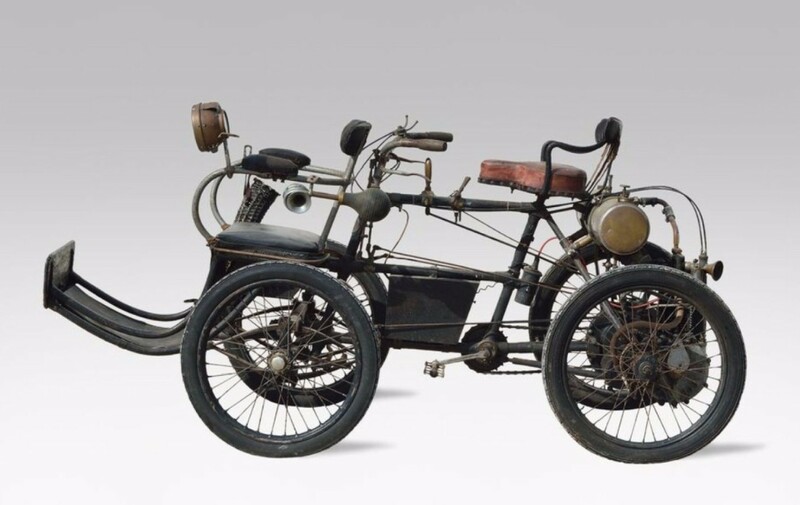 Daley, who owned a company that manufactured farm equipment, was responsible for one of America’s earliest automobile manufacturers. Founded in Charles City, Iowa, in 1895, the little company lasted only through 1898. His first car used an engine he designed himself. It’s unknown how many cars Daley built (there were at least three and he did plan to market them for $500 a pop, though it’s unlikely this ever occurred), but this is the only one left. It’s powered by a 700cc twin-cylinder engine that gets a supposed 100 mpg. Good luck spending 100 miles in this thing trying to achieve that figure. This car used to compete in the London-to-Brighton run back in the 80s before it was put on museum duty. The current owner acquired it back in 2011 and has had the engine rebuilt. That means it’s about ready to run in upcoming events. 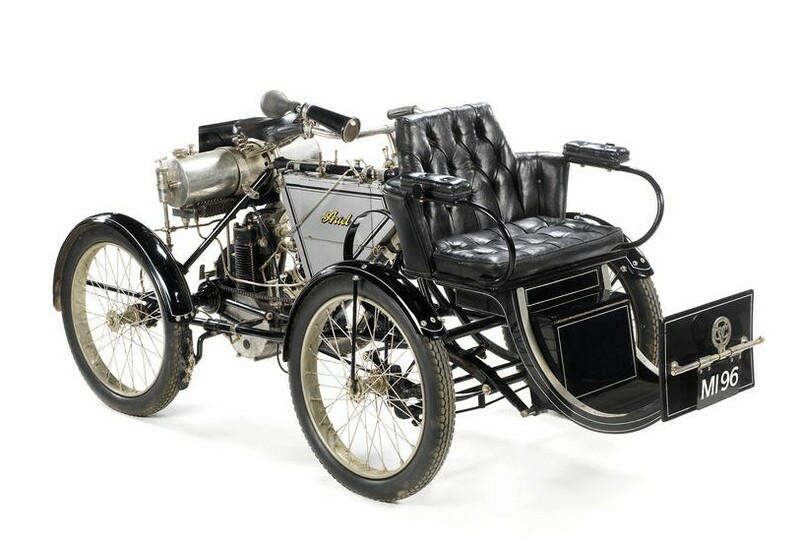 As a very rare pioneer American automobile, this car should bring between $46,000-$59,000. Click here for more info and here for more from this sale.